January 26 is celebrated as Republic Day in India because it was on this day in 1950 that its Constitution came into force. 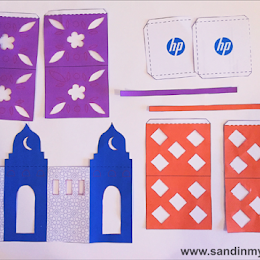 While we are away from home, I thought we could honour this national celebration in India by doing a special craft. I chose to make a peacock (also known as peafowl) as it is India's national bird, and has a special place in Indian mythology. If you have seen a peacock, you would agree that this beautiful bird has something regal and mystical about it. It's also very colourful, and so perfect for a craft activity! 1. Colour the paper plate in royal blue with a brush. 2. Cut out the body of the peacock with blue craft paper and stick on to the lower part of the plate once the paint dries. 3. Cut out three ovals with the green craft paper, three smaller ovals in orange, and three even smaller ones in sky blue. These should be small enough to fit on the paper plate. 4. Stick them on to the plate starting with the biggest (green), followed by the orange and blue ovals. 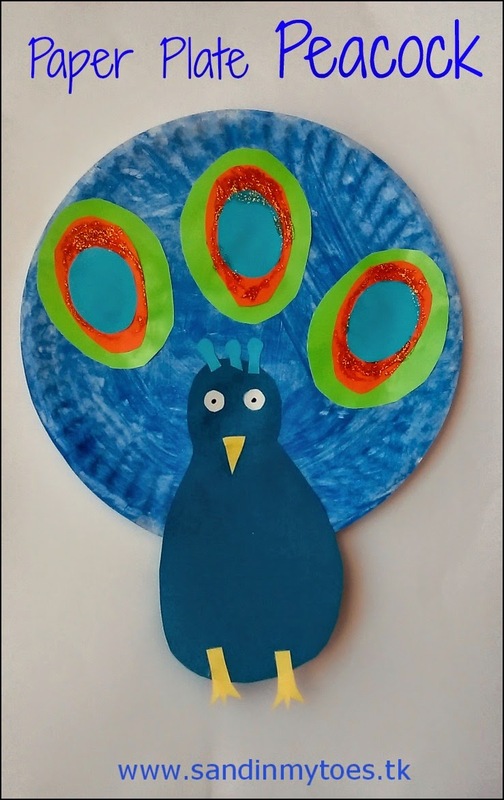 Use golden or green glitter glue to decorate these 'feathers'. 5. Cut out the 'crown' feathers of the peacock and glue onto the head as shown below. 6. Stick on googly eyes, or use white paper and a black marker to make the eyes of the peacock. 7. Cut out the beak and feet of the peacock in yellow and stick into place. Little Dude is too small to understand the concept of Republic Day, but I did talk to him about how peacocks are easier to find in India. I have seen these birds a couple of times back home, but we were lucky to have seen them here in Dubai too! 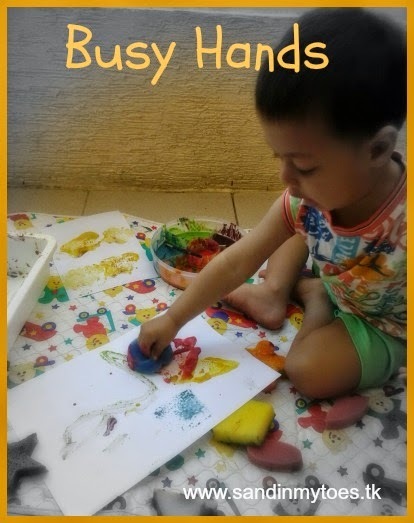 If you are looking for more Indian crafts, check out this terrific collection of ideas on Artsy Craftsy Mom. The peacock looks amazing, Jan 26 is Australia Day over here so we will also be celebrating! Peacocks are beautiful birds and this is a lovely craft idea. Yes, it's great that the two holidays come together! Thank you! 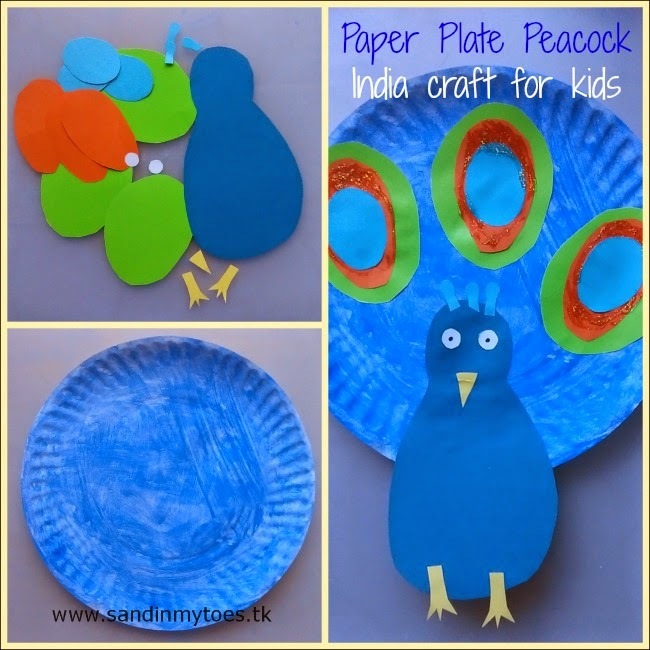 Paper plates are so versatile, and there are so many creative crafts kids can do with them. My kids are off from school today. 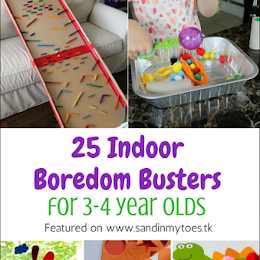 Although these are a warm weather type craft idea...we just might give them a try! I hope the kids like it!